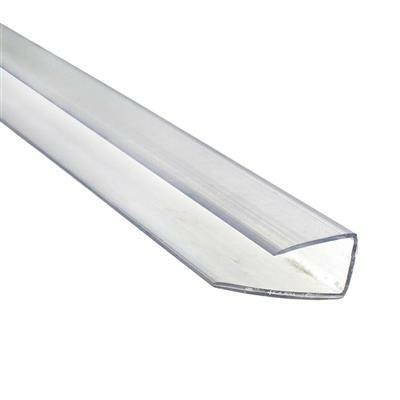 Length of plastic profile used for joining two polycarbonate panels side by side. 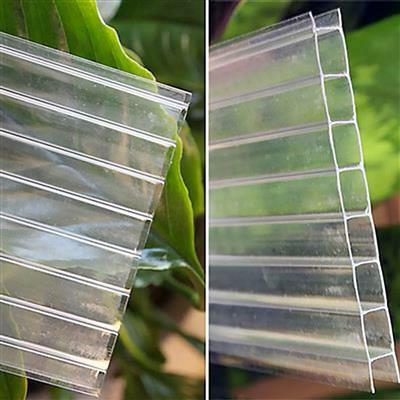 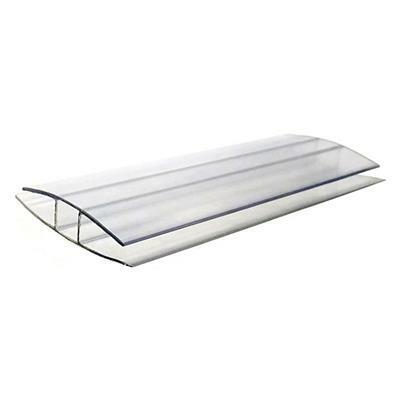 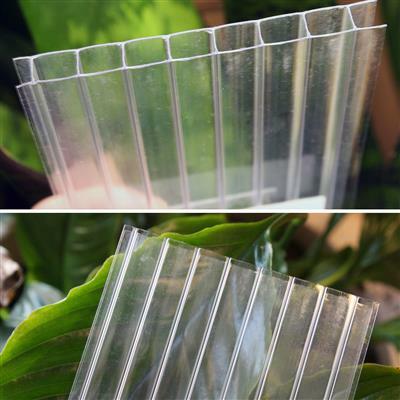 Clear plastic profile creates less noticable vertical seams than aluminum profiles. 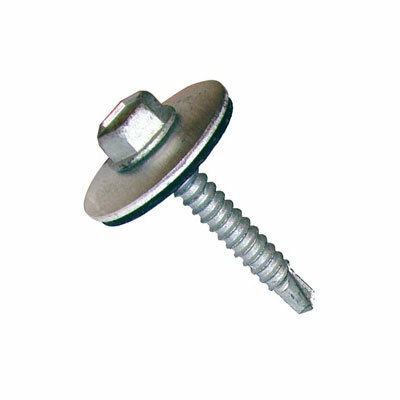 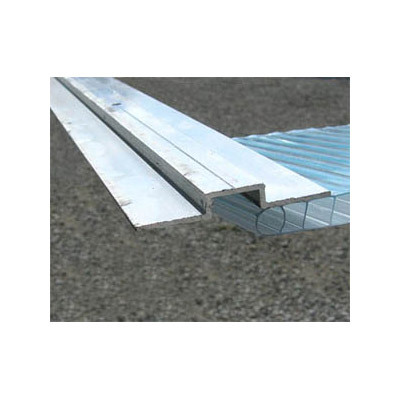 Important Note 12' and 24' sections are also available, but due to shipping you must call 1-888-281-9337 to order. 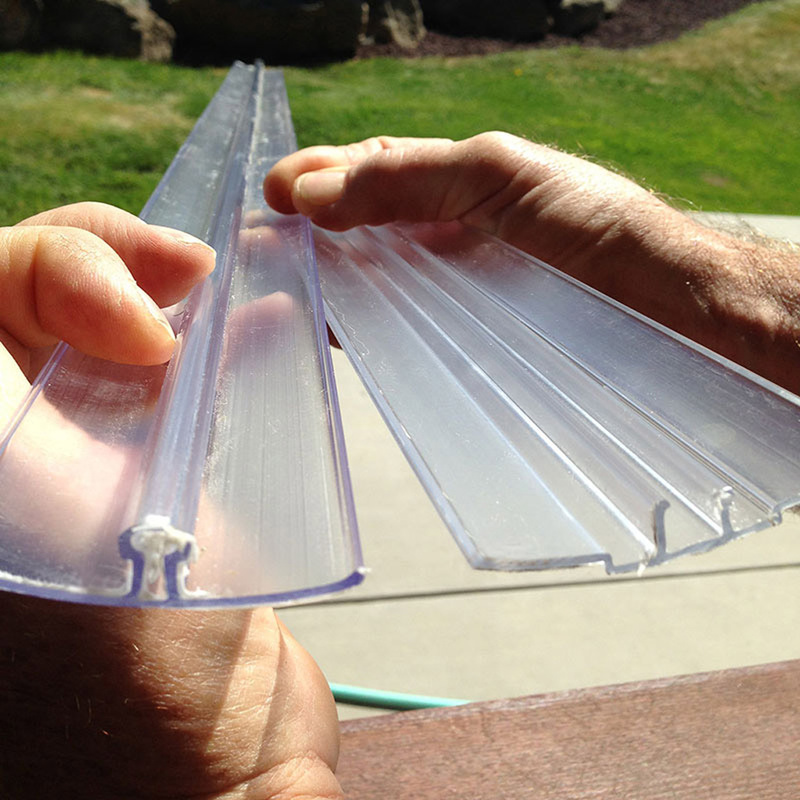 Length of plastic profile used for joining two polycarbonate panels side by side. 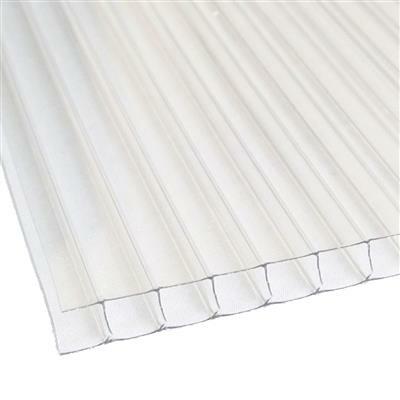 Clear plastic profile creates less noticable vertical seams than aluminum profiles. 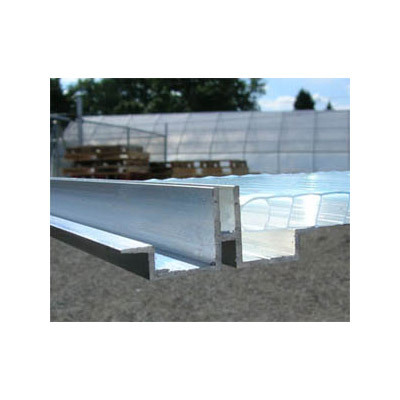 12' and 24' sections are also available, but due to shipping you must call 1-888-281-9337 to order. Could not get the two pieces to snap together and stay.Even tried to install on flat concrete floor.I think they sent the smallest size and was wrong for what I ordered.I had to silicone one half to top panel to make it work.VERY DISAPPOINTED !